A book about books is always an intriguing concept, particularly when it gives insight into the thought process of people you look up to. 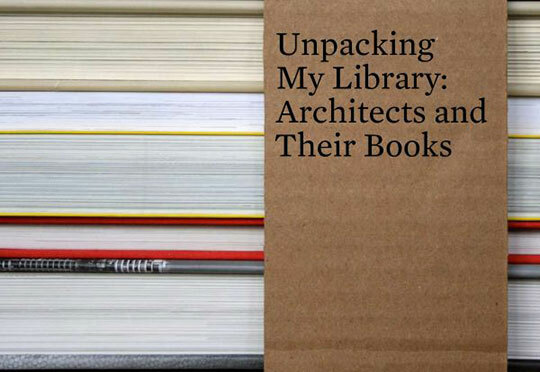 In this instance, Unpacking My Library: Architects and Their Books , we are given a glimpse into the collections along with a top 10 list of books from 10 influential Architects: Stan Allen, Henry N. Cobb, Liz DIller and Ric Scofidio, Peter Eisenmann, Michael Graves, Steven Holl, Toshiko Mori, Michael Sorkin, Bernard Tschumi, and Tod Williams and Billie Tsien. 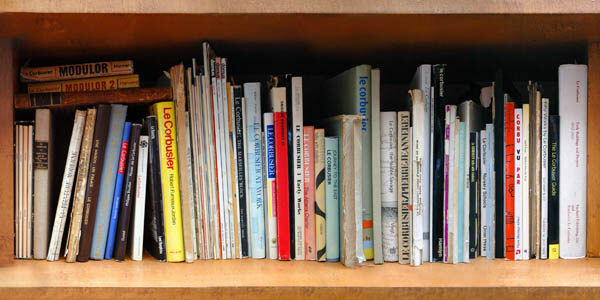 The book itself was conceived as part of an exhibition by the same name at The Urban Center in 2009. The participating architects also engaged in a series of conversations over the course of the exhibition with parts of the interviews featured in this book. Seeing the overlapping books was particularly interesting and has given me a deep list of books to find and read. Thomas Pynchon's Gravity's Rainbow appeared on about half the lists as did Robert Venturi's classic, Complexity and Contradiction in Architecture . Perhaps the most interesting list was that of Liz Diller and Ric Scofidio, who are strongly influenced by pop culture and featured the incredible Sci-fi novel Snow Crash by Neal Stevenson and the food manifesto The Omnivore's Dilema by Michael Pollan. Of course one of my all time favorite books, which is featured in the library of Tod Williams and Billie Tsien, is Harold and the Purple Crayon , an incredible story about the imagination and creativity of child who draws his way through landscapes and cities. Overall, Unpacking My Library is a well designed book that is fun to read and full of departure points for further study. 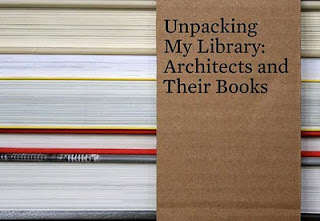 It is an excellent resource to return to when searching for books to help inspire, when looking for an intense novel, or when a glimpse into architectural theory is necessary.